A 16-year transportation plan passed by the state Senate would spend $16 billion primarily for highways, with smaller shares for ferries, maintenance, safety, transit and other uses. The House is to vote Tuesday. A 7-cent gas-tax increase would be only a month away if state lawmakers and Gov. Jay Inslee approve a $16 billion, 16-year compromise transportation plan. The bill, which passed the Senate by a 39-9 vote Monday night, calls for the Aug. 1 tax hike, followed by 4.9 cents more on July 1 next year. There would also be higher weight fees for car-tab renewals on passenger vehicles. Most of the money would go to widen or expand highways, with smaller shares for local roads, ferries, maintenance, safety, transit and trails. A House vote is expected Tuesday, on what amounts to a compromise between the Democrat-controlled House and the Republican-controlled Senate. Lawmakers can enact the program without a citizen ballot. The initial 7-cent boost would put Washington into a tie with New York this summer for the nation’s third-highest gasoline tax, at 62.9 cents a gallon (44.5-cent state tax plus 18.4 cents federal tax), according to the American Petroleum Institute. Pennsylvania and California collect more at 70 and 66 cents, respectively. The Puget Sound Gateway Project, $1.9 billion to build a 6-mile extension of Highway 167 from Puyallup to the Port of Tacoma, and to extend Highway 509 from SeaTac to I-5. I-405 from Renton to Bellevue, $1.2 billion to widen the clogged corridor. Interstate 90’s Snoqualmie Pass East project, receiving $426 million to finish the six-lane corridor from Lake Keechelus to Easton to provide better safety, lane space and animal crossings. Joint Base Lewis-McChord, $494 million for additional I-5 lanes and improved junctions in a chronically congested area. The package wouldn’t pay to rebuild or add capacity to I-5 in Seattle, which could require up to $2 billion, nor are there any operational changes such as two-way express lanes, toll lanes or bus-rapid-transit lanes through the city. Sound Transit would be allowed to submit a $15 billion tax package on the November 2016 ballot in urban Snohomish, King and Pierce counties, mainly to extend the light-rail system over 15 years. A “Sound Transit 3” (ST3) plan isn’t formed yet, but its prospective destinations include Everett, Tacoma, Redmond, Ballard and West Seattle, along with I-405 bus-rapid transit on the Eastside. There’s a catch, though. For the first time, Sound Transit would be charged a 3.25 percent state sales tax on materials for construction projects, up to $518 million. 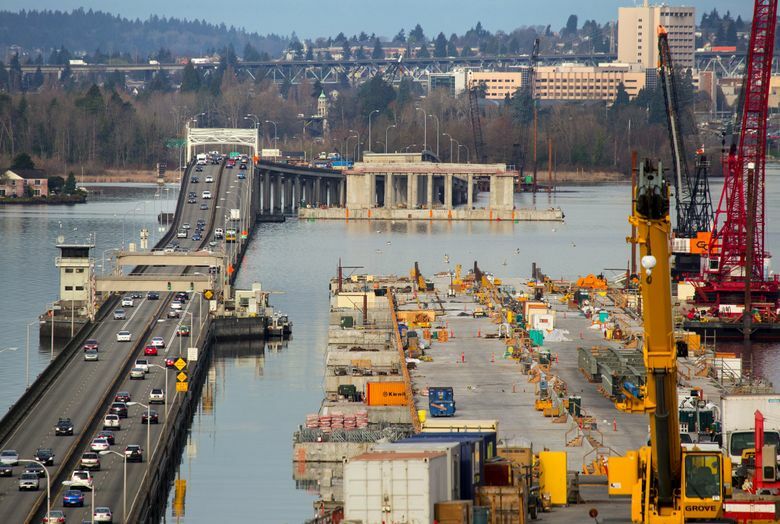 This money is meant to backfill future losses in highway-construction sales taxes, said Rep. Judy Clibborn, D-Mercer Island, chairwoman of the House Transportation Committee. Highway projects now pay tax into the general fund for schools, law enforcement and social programs, but those will be phased out in four years, at the insistence of Republicans. “It’s the price of how you get to an agreement,” Clibborn said. Environmental groups, including 350 Seattle and Climate Solutions, have condemned the transportation package mainly because it lacks a low-carbon fuel standard Gov. Jay Inslee earlier sought. Over the weekend, Inslee backed off his plan, which would have mandated energy companies use more renewables, such as biodiesel and cellulosic ethanol. Opponents had argued that would drastically raise fuel prices. In addition, a carbon tax proposed by Inslee, much of it aimed at petroleum refineries, failed to pass the Legislature. State Rep. Joe Fitzgibbon, D-Burien, said he’ll vote “no” on the entire plan despite his support for Sound Transit 3, offering potential rail to West Seattle in his district. “I’m not going to trade progress on climate change for any transportation project,” Fitzgibbon said. Nonetheless, he predicted the bill will pass. Clibborn said there is plenty for environmentalists to like, including $1 billion in the multimodal fund, spread statewide to transit, bicycling, walking and safety programs. One of the many line items is a $10 million contribution to a $25 million Northgate Station pedestrian-bike bridge over I-5 in Seattle. Gas-tax supporters have warned that without better highways, Washington will lose competitiveness in the export-import business, as British Columbia, Gulf of Mexico and East Coast ports modernize and build better access routes. Ferries also are a winner in the final version of the transportation bill, which includes $122 million to build a fourth Olympic-class, 144-car ferry similar to the new Tokitae, Samish, and the upcoming Chimacum, and $602 million overall for boats, terminals and operations.